Nikon has been busy lately. The D40 has only been out for a couple of months and already, there is an update. 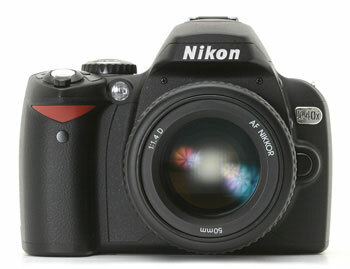 The D40x is virtually the same camera as the D40 except for a resolution bump up to 10 megapixel (from six in the D40). The only other differences are the continuous shooting rate (3.0 fps vs. 2.5 fps) and the ISO range starts at 100 in the D40x (vs. ISO 200 in the D40). - Esthetic Dentistry shows before and after pictures in a logical sequence demonstrating the possibilities of esthetic dentistry. 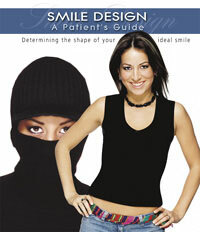 As of March 2007, the Esthetic Dentistry/Smile Design - A Patient’s Guide is now available in English, Spanish, Portuguese, German, Italian, French and Romanian. We're currently running a special on this book: Buy 3, get the 4th at 1/2 price. You'll be amazed at how this simple, inexpensive investment impacts your production of cosmetic procedures. Your patients will come in asking you about specific procedures before you're even able to suggest them. 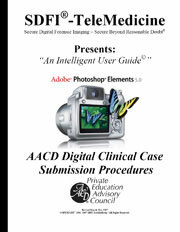 Recently, the AACD revised their digital protocol for AACD Accreditation. The new protocol is streamlined with many of the original requirements removed. The Guide is designed to be used with Photoshop Elements 5.0 and Powerpoint. Each page is a screenshot step-by-step walk through with indications of where to click and what to type. It is like having someone over your shoulder explaing what to do every step of the way. This Guide will be used during the Accreditation Workshop at the 2007 AACD meeting in Atlanta with Dr. Brett Magnuson and Ward Allen. 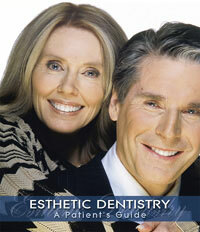 We'll be in booth #823 at the Star of the South Dental Meeting, Apr. 12-14.
new cameras and ask about our meeting specials. Material costs keep going up and we have been informed that our Contrasters and intraoral mirror prices are increasing approximately 6% in May. Now would be a good time to check your mirrors and Contrasters and see if any need to be replaced. Order now and get in before the price increase.